We acknowledge that every talent is unique. 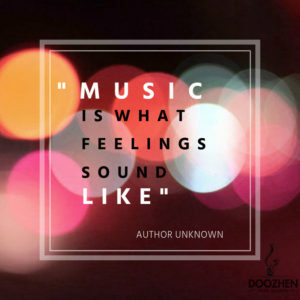 This is why DooZhen teaches with integrity to ensure keeping the authentic flavour and the originality of the musical gift, which is expressed in the student’s character as in his musical interpretation. Yet, we encourage our talents to adopt new methods and academic tips to evolve in their career and gain more expertise in the musical field, without scratching their genuineness! There are thousands of great musicians around the world, but aren’t we witnessing more and more musical prototypes? We’d rather help our students to reach excellence with an intrinsic Talent. ​Whether you want to go pro, to enjoy investing in your talent, to practise your instrument, or maybe to discuss your goals in music, you can just call or visit. You’ll find us there for you! Every endowed student is a valued potential Artist for DooZhen. Therefore, we strive with youngsters as with adults, beginners as advanced to make the best out of their musical experience. On one hand, with our out-of-the-box academic curricula, fun yet constructive, on the other hand, with our experienced and professional staff, we guarantee you for our talents not less than excellence. “I learned at Doozhen that the voice should reflect my own personality and not any star I’m fan off, and never copy-paste the teacher! At choir, it was difficult as a soloist to blend in, so I learned how to adapt my voice skills to be in harmony and melt into one choir voice. For me at Doozhen, it was a life changing experience; it’s not only about music, it’s about building character, invest in the talent and the person to shine in all aspects of life. I got to know how a teacher put all his knowledge in your hands to grasp! Teachers at DooZhen simply taught me how to become myself a good teacher and pass on the torch.